The CW's new hit series takes home 7 surfboards. Lots of love for The CW at the 2017 Teen Choice awards Sunday night. The new hit series, Riverdale, swept up the surfboards with 7 wins. The show took home awards for Choice Breakout Show and Choice Drama TV Show. Plus, Lili Reinhart won Choice Breakout TV Star, Cole Sprouse scored the title of Choice Drama TV Actor, Camila Mendes won Choice Scene Stealer and Madelaine Petsch threw the Choice Hissy Fit of the year. And sorry #WestAllen & #Olicity, ‘Bughead’ took the title of Choice TV Ship. 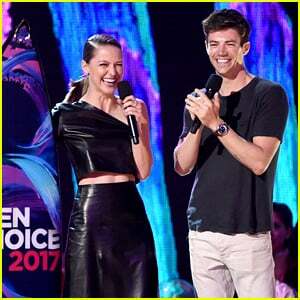 On the super side, The Flash’s Grant Gustin and Supergirl’s Melissa Benoist took home awards for Choice Action TV Actor and Actress. 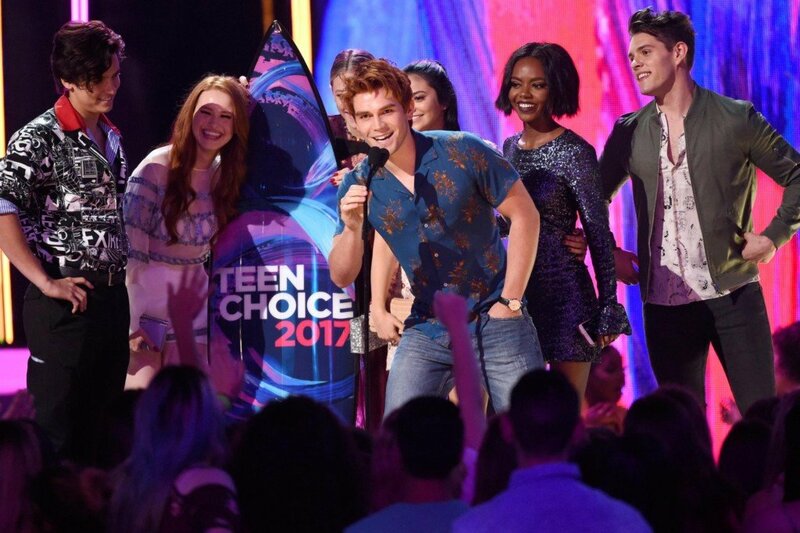 For a complete list of 2017 Teen Choice Award winners, click here.